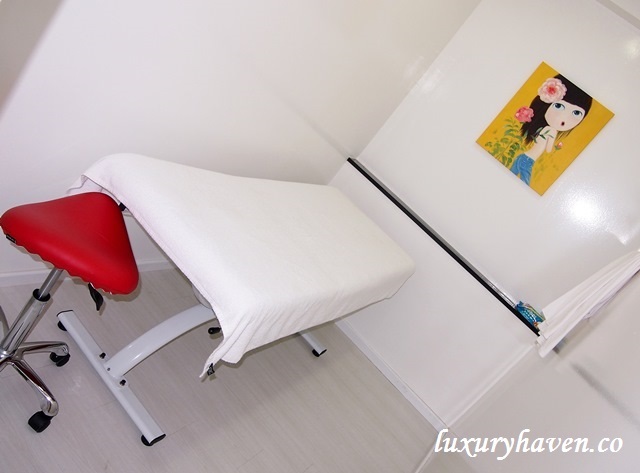 You are here:Home » Product Reviews » Venus Freeze, At ONLY Singapore Aesthetics Centre! This body-contouring treatment has been all the rage in America, garnering the attention of celebrities such as Beyonce, Kim Kardashian & Jennifer Lopez. Now, Singaporeans can get a chance to experience the hype as #ONLYaesthetics brings in Hollywood-renowned treatment Venus Freeze™! I was overwhelmed by the interior of ONLY whereby the lift brought me right to their doorstep located at RB Capital, #RafflesPlace. 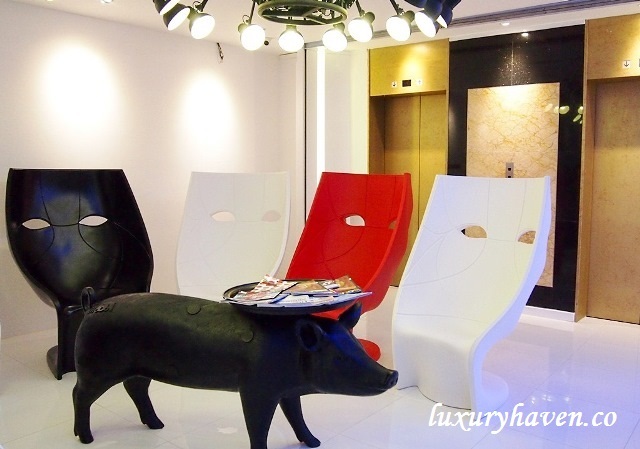 Trendy layout with playful design show pieces giving the whole atmosphere a touch of class & sophistication. ‘Before’ photos were taken after changing into their required attire. Gel was then applied before using the hand-held Venus Freeze device to go over my tummy & sides. By using Multi-Polar Radio Frequencies & Magnetic Pulsed Fields that are generated through a specially-designed array of electrodes, Venus Freeze™ gives off a thermal reaction when used against the body. The treatment was painless. Feeling was warm & gentle; much like a hot-stone body massage. Venus Freeze stimulates the production of new collagen in the body & encourages healthy & improved circulation, keeping cellulites & wrinkles at bay. The session took about 20 mins, & there were some redness on the treated area due to the heat. ‘After’ photos were then taken. I decided to take measurement this time since the results weren’t very clear from those photos taken during my 1st visit. Before (measurement from tummy, not waist): 32.5”, After: 32.2”. So there was a slight reduction of .30”. I'd also requested the therapist to do one side of my tummy first. Can you see the difference from the photo? You can often see results after the 1st treatment but typically, 6 treatments for the face are required, & 6 – 8 for the neck & body. Prices for Venus Freeze range from SGD 288 to SGD 588 per session depending on area. Before: 31.4", After: 31". I’m pretty satisfied with the small change in just 3 sessions. Besides getting Hollywood’s hottest body-contouring solution that helps break down cellulite & reduce wrinkles through a revolutionary, non-invasive treatment, Only’s professional therapists were friendly & knowledgeable during my visits. Every now & then, they would check if the temperature was comfortable enough or the pressure was right. So if you’re visiting Only for Venus Freeze, do not hesitate to let them know if it gets a bit too hot as the ladies will adjust accordingly. Venus Freeze™’s success is measured by its efficiency & results. Approved by the FDA & licensed by Health Canada, this treatment is completely secure, fast & guaranteed. Venus Freeze™ has also been featured on programs such as America’s Next Top Model, the Rachel Ray Show & The Doctors, & it has also been highly regarded by America’s top plastic surgeons such as Dr. Boyd & renowned dermatologist Dr. Harold Lancer. Since there’s no downtime & treatment in one area takes less than 30 mins, Venus Freeze allows you to resume daily activities immediately after treatment. You can even squeeze in your treatment during your lunch time & get back to the office after that. So call for a consultation & Freeze Yourself into Shape at Singapore’s largest #aesthetics centre, ONLY! Ok, i guess this can be super effective on me LOL >_<"
Ken, I like your sense of humour! Lol! Reana, you're too humble! Hahaha! You're another adorable one. My tummy is beyond repair now! I have to diet for a month and live on bread & water diet only to slim down. I believe this one works like magic! Great post, Shirley. Thanks to you, I now know what fat freezing is. Never heard of it before. ...and I so love the furniture! Sharon, glad you've found it useful! Yah, love their interior! Shirley you are slim.. looks like nothing much to freeze..lol..!! tummy looks red after treatment, hot? Amazing, the before and after. Nava, not too bad for that kind of prices. When I saw your measurement there, I start measuring myself. Er... sh.... don't tell. I'm so far away.... Venus Freeze - something new to me and I can see the amazing result even thou yours is not significant, i'm sure this is really going to work for real fat people. Uru, indeed! Have a wonderful week, sweetie! YL, no pain & no downtime!